Meaning 'mysterious' or 'understood by only a few’, the word ‘arcane’ conjures up images of magicians, secret societies and fantasy lands. 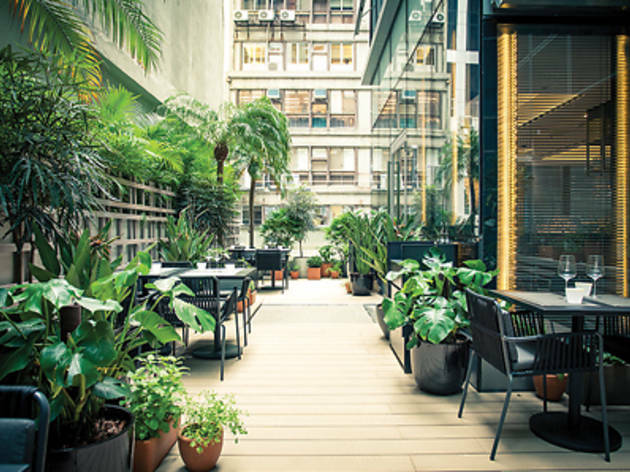 This may be apt when it comes to new modern European restaurant Arcane, as the food is being lauded by some as magical and owner and chef Shane Osborn is full of fantastical culinary secrets, all learned at some of the best restaurants in London and Hong Kong. 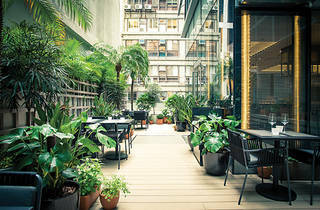 Having helped Pied à Terre and L’Autre Pied earn Michelin stars in the English capital, Australian-born chef Osborn arrived in Hong Kong to salvage an ailing St Betty’s at IFC mall in 2012 – and he quickly turned the European restaurant’s fortunes around, garnering a reputation as a chef with the Midas touch in the process. Ever since he’s become something of a magical figure in the dining scene, so punters have been waiting with bated breath for the Central opening of Arcane. Does everything Osborn touch at this swanky new venue turn to gold? Osborn says the restaurant’s a cosy place, where friends, family and business associates can be wined and dined. As we set foot inside, we agree. The environment certainly is quite intimate. Perhaps too intimate. We almost bump elbows with the diners on the table next to us as we take our seats. However, apart from the lack of space, the decor is calm, cool and charming and we adore the pooled lighting and clean lines. Alas, there are no fantastical, mysterious or magical surrounds for us to behold but we compliment the view of the greenery visible on the terrace that adds a sort of Garden of Eden quality to the whole scene. The real magic, we expect, is in the food. So we start by sticking our forks into the pepper seared tuna ($268). Beautifully plated on top of a bed of lightly mashed potatoes and watercress dressing, the superior fish is expertly seared so the taste isn’t at all compromised by the slight chargrilled flavour or the pepper. Next, we plump for some lime marinated scallops ($268) that are served in an avocado yoghurt inside a beautiful fan-shaped shell. This dish is light and tangy and matches its pretty presentation perfectly. Moving on, we go for the roasted Sagabuta pork ($418) which sits in a splash of apple purée next to a braised turnip that’s refreshingly clean, showcasing the sweet fragrant flavours of the meat. In fact, we’re sure we’ve had this dish before. It’s almost exactly like the one at St Betty’s. We had hoped Osborn would have created a menu where everything was totally new. However, when the sautéed gnocchi ($338) arrives, thoughts of of St Betty’s are blown away. This is new to our palate. Fried crisp on the outside and served piping hot, the morel ragout and sautéed leeks work together in a medley of flavours that seem both nostalgic and unique, not to mention appetising. Okay, there is a sautéed spätzle at St Betty’s, but we do feel that’s where the similarities end. This turn of sentiment encourages us to order dessert and we don’t regret the decision, as the Japanese winter strawberries ($128) are divine. As well as lemon curd, there’s also a fried beignet here but we’re thankful it doesn’t take centre-stage. Instead, the fresh winter berries remain the stars. They’re aromatic and sweet, and everything else on the plate is just a conduit to tease out the fruity flavours. Lastly, the manjari chocolate tart ($138) is a bold dessert that’s not overly sweet. When paired with a dollop of Guinness ice cream, the choccy enhances the malty beer flavours – a simple combination that effectively draws out the complexities of ingredients. Arcane 3/F, 18 On Lan St, Central, 2728 0178; arcane.hk.